The Bangkit Berdaya program is an innovative program of Jambi City. Bangkit Berdaya is an acronym for Intensively Developing Sub-districts Through Community Effort, creating equitable infrastructure and environmental facilities through community-based efforts. 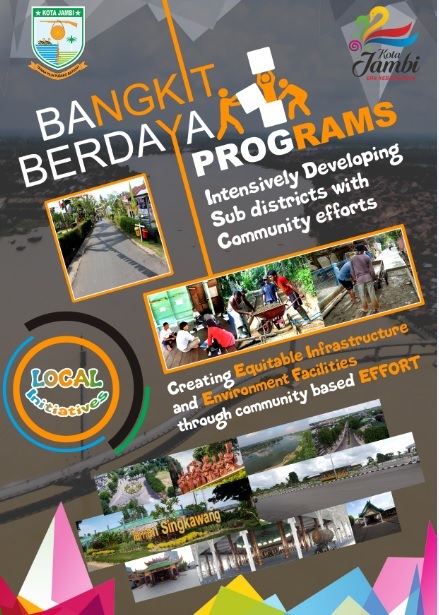 This experience was a candidacy for the 11th IOPD Award "Best Practice in Citizen Participation"
The primary objective of Bangkit Berdaya is to accelerate infrastructure development at the RT level, and to promote cooperative community participation in support of government programs. The desired outcome of this initiative is to change financing arrangements under which all local infrastructure programs were handled by the Public Works Department, resulting in long waiting times for community proposals to be executed. Bangkit Berdaya makes it easy and fast for community proposals to be executed, creating a cleaner and neater environment. Bangkit Berdaya empowers the community and stimulates cooperative spirit at the Sub District Level to address local infrastructure and environmental issues. The number of participants in this annual program is huge. In 2015 1.534 community forums submitted over 3,000 proposals. Over 180.000 people (or twenty-five percent of Jambi residents) were impacted directly by the program that year. In 2016 the number of participants reached over 300.000 people. Bangkit Berdaya is an acronym for Intensively Developing Sub-districts Through Community Effort, creating equitable infrastructure and environmental facilities through community-based efforts. The Bangkit Berdaya program is an innovative program of Jambi City. It was formed because more small-scale development proposals were received from the community during the city's yearly development planning than could be addressed by relevant departments. Under this program the government provides construction materials and the community provides labor in the Indonesian tradition of "gotong – royong" or working together as a community. The Bangkit Berdaya program is intended to encourage accelerated development of public facilities, infrastructure and neighborhood utilities, and sanitation facilities, and to encourage community participation in environmental development. An initiative on the environment and sanitation. This innovative program was established because thousands of small-scale development proposals were received from communities during the city's yearly democratic development planning but only a small number of them could be addressed by the appropriate departments. This program addresses the many needs for small infrastructure improvements, and many small needs together can be quite large. The Bangkit Berdaya program is dedicated to accelerated development of public facilities, infrastructure and neighborhood utilities, and local sanitary facilities, and encourages community participation in environmental development. It promotes collaboration among communities, the private sector, and government. The basic principle of this program is that government provides construction materials and the community provides labor in the Indonesian tradition of "gotong – royong" or community action. Government initiates projects with fund grants to the community, the community offers labor and additional financial resources, and the private sector participates in local government's development programs through their CSR (Corporate Social Responsibility) fund or activities. The program was purely the current Mayor's, Mr. Syarif Fasha, innovation in response to the Public Works Department's inability to address many development and infrastructure proposals offered by communities to improve their local environments. Communities respond appreciatively to this program because it enhances the neighbourhood environment, enhances the community's sense solidarity and unity, and shares responsibilities among government and community. The role of the community in improving its living conditions is very important. This citizen's participatory in local development started at very local level, from Musrenbang Forum (Development Planning Deliberation). Our city's urban planning emphasizes the centrality of community participation as the core of our urban planning. We have MUSRENBANG (Development Planning Deliberation) that begins at the village level of our community.. Jambi City has 1548 villages consisting of 62 subdistricts. Every year in February each subdistrict holds the subdistrict Musrenbang that is attended by community and the village heads who discuss what programs and activities they should propose in writing to improve and develop their villages. Those proposed programs are then sent to the district level. At the district level those proposals are selected based on their priorities and urgency. Selected proposals are then sent to the City for consideration to be included in city programs for the following year. Community representatives are invited to attend the city hearing where city-level deliberations are conducted. In the last two years we have simplified the process of Musrenbang, reducing the number of programs from almost 200 programs to 51 programs, making it easier to measure policy performance. 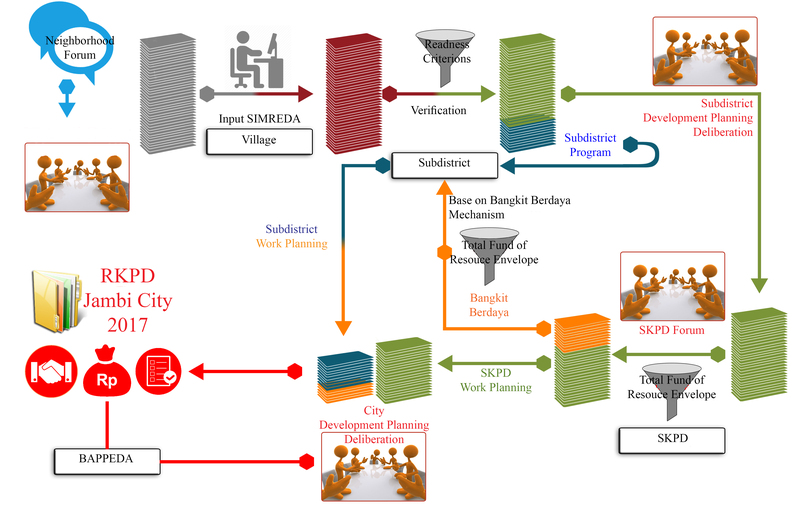 We also implemented the smart city concept in our planning, including the e-planning system. Our city planning and development procedures accommodate and store the community proposals that arise from bottom up planning. This e-planning system can be seen and accessed by the entire community to verify that their proposals are in the system. This transparency increases the trust of people in their government. People can also see the selection process by which one proposal is approved over others. They can see explained the urgency of one proposal over another. It creates empathy for other districts. For example, residents of a district denied requested road repairs can see documentation showing that districts whose requests were approved had greater needs. Aside from community participation, we also incorporate a traditional Indonesian value known as "GOTONG ROYONG" a tradition of working together to finish a project of common interest. With Gotong Royong we create a collaboration among communities, government, and the private sector to create better infrastructure. With Gotong Royong, we have instituted several local initiatives to accelerate infrastructure development, develop the economy and promote community participation, including Bangkit Berdaya Program. Bangkit Berdaya activities, was basically collection from small scale proposal from community neighbourhood. This proposal then forwarded to related departments who can handle which is kecamatan (subdistricts), then kecamatan will allocate budget from local budget for this activities, Kecamatan will buy materials for the work project based on the calculation of Public Work Department. In 2015 the total budget allocated from local budget for Bangkit Berdaya is Rp.4,403,975,00 which is 0.32% from the total local budget, but donations from the community including free labour brought total investment from local government and community to over 6 Billion rupiah. In the 2016 budget Rp. 7,450,000,00 , 0.49% of the local budget, was allocated to Bangkit Budaya. In the same year community donations - whether in kind, labour or money was valued at over 50% of government allocations, raising total investment to 11 Billion rupiah. Public socialisation to Musrenbang and Bangkit Berdaya was undertaken by whole departments of local government in Jambi City, through website, onsite socialization, neighbourhood forums, newspaper and TV. Feedback regarding community participants' satisfaction with the program was provided to the local government through village heads. Evaluation has been limited to whether the projects in each proposal have been done properly by standards of the Public Works department. External evaluation is still limited to see up to the physical project, whether it has been built based on the recommendation from the Public Work Department. So far the Bangkit Berdaya program has positively impacted the community at large, primarily in the communities receiving assistance..
Solidifies community, promoting "gotong- royong" values, and increases the community's sense of ownership. 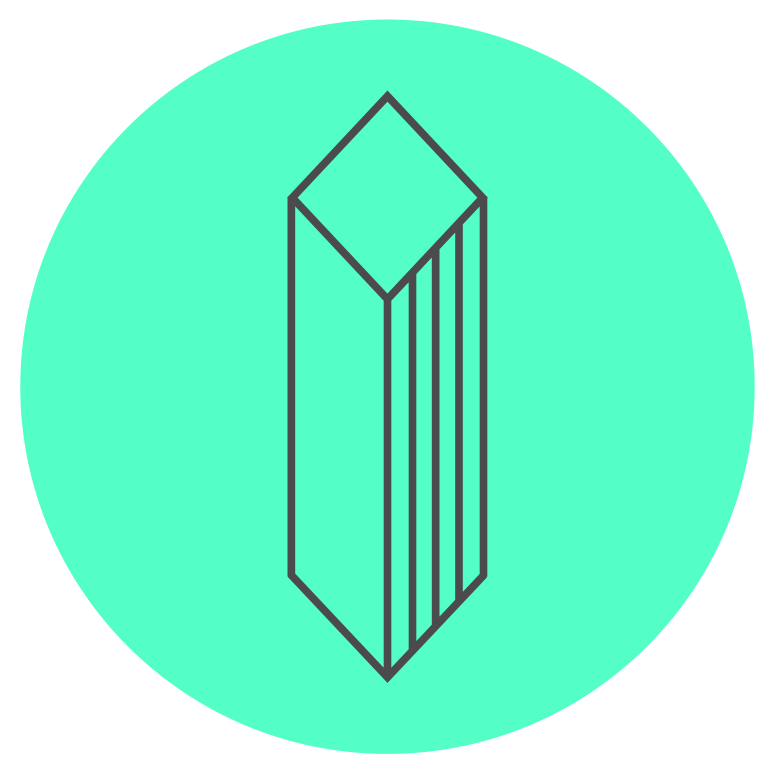 "Project that is based on a comprehensive partnership between government, communities and private companies."